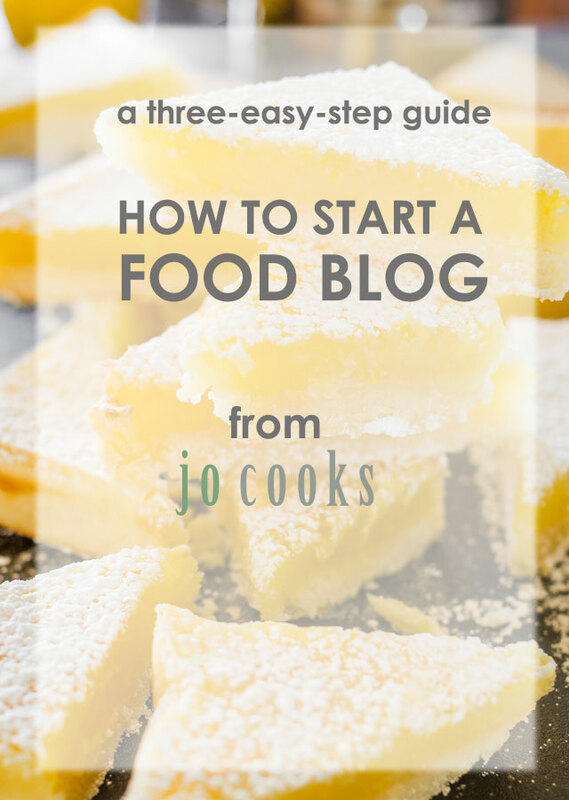 How to Start a Food Blog – a three-easy-step guide to help you start your food blog. Learn how to register your domain, signup with Bluehost and install wordpress. All in three easy steps! If you’re reading this, you’ve probably decided that it’s time for you to start a food blog. You love to cook, you love to photograph what you cook and you love to rave about it. You are ready. Well you’ve come to the right place. All in three easy steps. It’s that easy! All you need is 15 minutes! I have previously shown you how to register with Dreamhost, but in this three-easy-step guide, I will show you how to register your domain, sign up with Bluehost, and install wordpress. 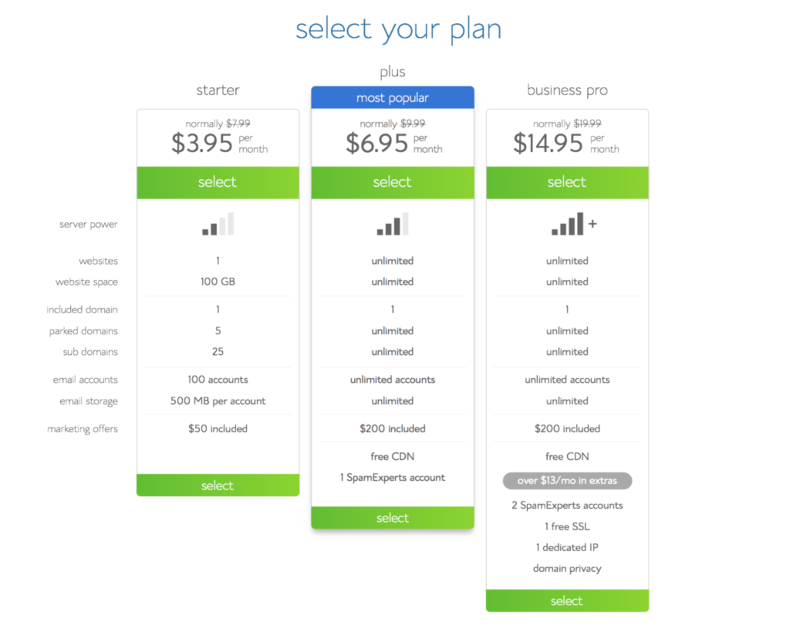 First you’ll need to select a hosting plan, so head over to BlueHost.com and get started. For as little as $3.49 a month you can have your own blog. I’d suggest you start out with this starter plan until your website grows a bit and starts getting some traffic. It gives you everything you need for now and will save you some cash. If you’re confused about hosting and what it is, head over to my hosting post to learn more about it. Once you’ve selected your hosting plan, you need to select your domain name. This is the fun part, but make sure you choose a good domain name, one that describes your. This is where I wish I would have spent some time before hand choosing a better domain name, but I didn’t know much about blogging then and I didn’t have any idea where this blog would take me. But if you’re here, you probably already have a domain name in mind. Enter your domain name and hit next. You will next be prompted to enter your contact information. Once done you will have to choose your package. I would strongly suggest to select the Domain Whois Privacy, because for $9.99 you hide your personal address and phone number from being displayed to the public. Definitely worth the $9.99. The hardest part is behind you. Now you need to install WordPress. WordPress is a blogging platform, it’s a publishing software that allows you to create your content and publish it to the world. For more information on blogging platforms, click here. 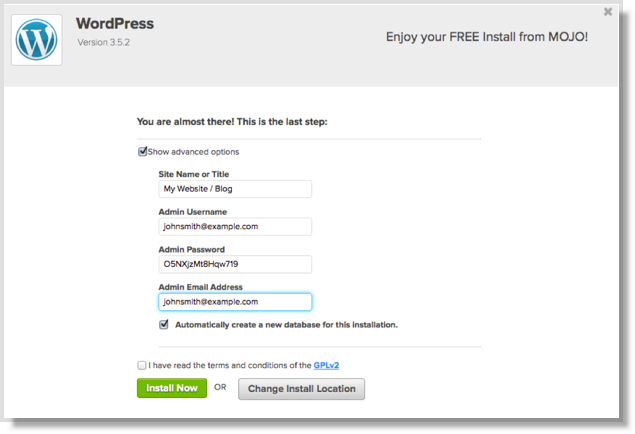 The great part about choosing to go with Bluehost is that with a click of a button you can install WordPress. Log in to bluehost and from the Hosting Section, click on “cPanel” tab. Click on the WordPress logo. Click on the “Start” button for a brand new install. Verify that the information on the next page is correct, check the terms and conditions, then click the “Install Now” button. You will get an Install Processes status page. Let it complete. Once complete, you will get a message that says “Your install is complete!”. Click on “View Credentials” button and write down your Admin URL, username and password. 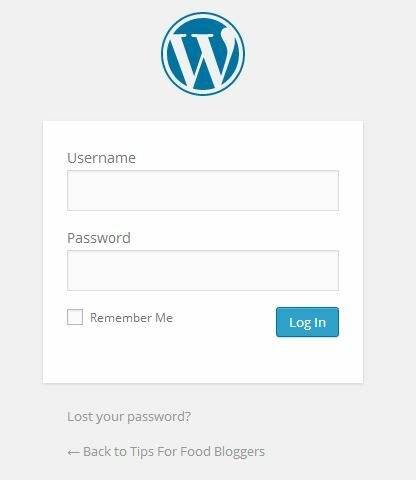 This is the information that you will use to log in to WordPress. Once in WordPress you will be able to change your username and password. Copy and paste your Admin URL into your web browser. Congratulations! You have successfully installed wordpress and are now logged in to your blog! Step 3: Making your blog pretty! 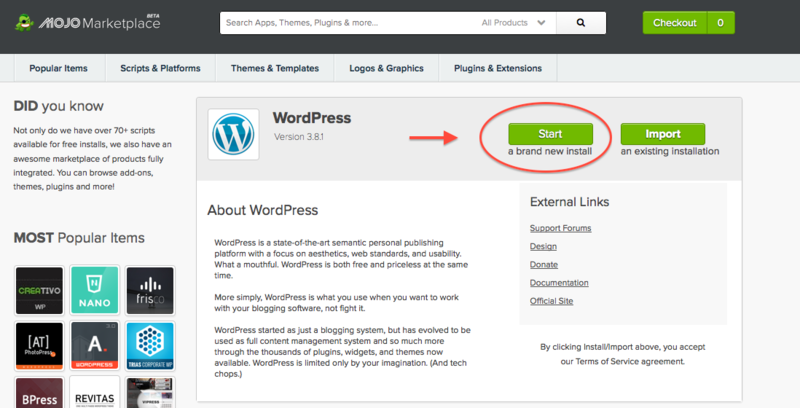 Once wordpress has been installed, your website or blog is officially up and running with a basic theme that comes with the wordpress install. However, you will most likely want to customize your blog so that it reflects your style. A theme is a collection of files that work together to produce a graphical interface to unify a design for your blog. It will make your blog attractive, easy on the eyes and makes your blog easy to navigate. The Genesis Framework – this is the current framework that we’re currently using for all our blogs. Check out their available themes by visiting their StudioPress Themes. 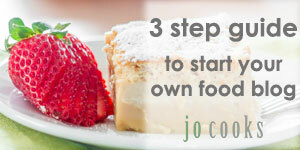 The theme used on Jo Cooks is the Foodie Pro Theme which I’ve been using for over a year now and absolutely love it. The Thesis Theme for WordPress is another wonderful theme and very popular. It used to be harder to setup and install Thesis but they have recently introduced Thesis 2.0 visual design template editor which makes it easier for non technical bloggers to change every aspect of every page and every element of their blog without ever writing a single line of code. You can change how your entire theme looks or tweak specific parts of your theme with just point, click, drag and drop. Themeforest provides thousands of themes or site templates for your blog for a very reasonable price. Most templates go for about $35 and are very good quality. I have purchased themes from them for pretty much all of our websites. They are easy to configure and customize for your own blog. For more information on themes, click here. Disclaimer: Please note that this post contains affiliate links, which means I will receive a commission should you purchase anything through those links. It’s an remarkable post designed for all the internet people; they will take advantage from it I am sure. Hey….thanks for sharing this 3 step guide. I am new to this blogger world and i was not having any idea even to start it. The snapshots you have shared, helped me out while installing wordpress. Your post is really helpful specially for beginners. Hosting ... What is it?